Symbios.pk offers a best Xiaomi Mi Power Bank s2 10,000mAh price in Pakistan with fast shipping in all the major cities of Pakistan. Including Karachi, Lahore, Islamabad, Sialkot, Faisalabad, Peshawar, Quetta, Multan, Rawalpindi and many more cities at the lowest price. 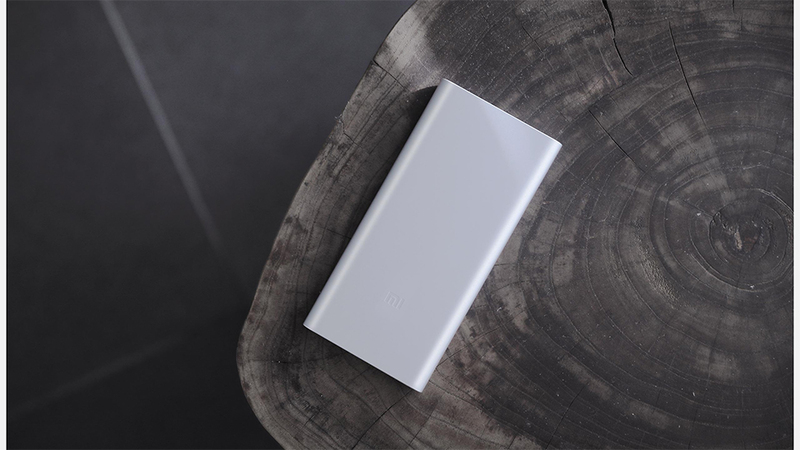 Last week Xiaomi officially released its latest power bank, called Xiaomi Mi Power bank 2 10000mAh - New , the biggest feature is to upgrade to double USB output port, but it still sells at the same price. 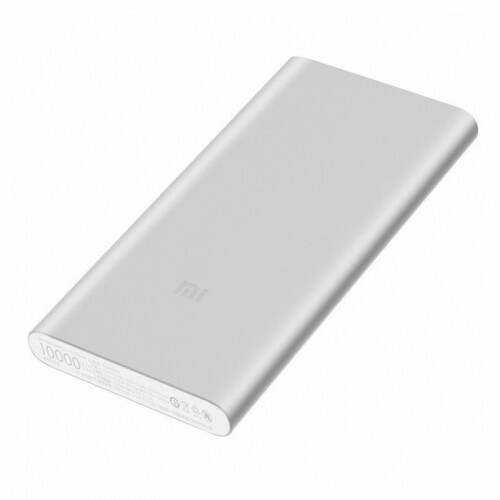 In design, Xiaomi MI Power Bank 2 10000mAh is designed same as the last generation, but the cover uses aluminum alloy unibody material, the surface is processed by anodic oxidation process, it not only has very high structure strength, but it is anti-collision, but it can support anti-perspiration and anti-corrosion. In battery, Xiaomi MI Mobile Power Bank 2 10000mAh battery is to use high quality lithium polymer core, the conversion rate of polymer core is up to 90%, the actual output capacity is 6500mAh battery, in theory, it can charge 3.5 times for iPhone 7, and twice for Xiaomi MI6. 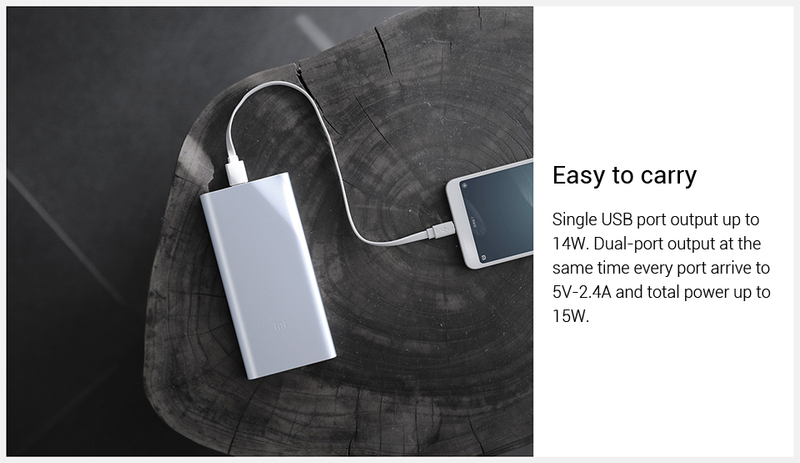 Meanwhile, Xiaomi MI Mobile Power Bank 2 10000mAh single output supports multi-quick charge agreement, its power can be up to 14.4W, When double USB port output, each interface can reach 5V/2.4A output ability, the total power rate can be up to 15W. In input, it can still support quick charge, according to compatible charger, it can support 12V/1.5A and 9V/2A two kinds of 18W modes, which can reduce charging time largely. 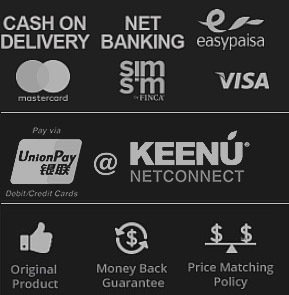 Double click the button to launch 2 hours charging mode, after that, it can charge for Bluetooth earphone, Xiaomi mi band, etc. 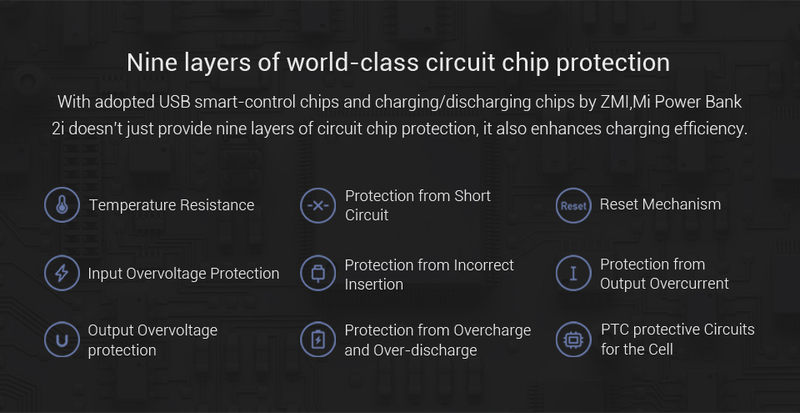 In safety, it still supports temperature protection, short circuit protection, input output over-voltage protection, over-current protection, current charge discharge protection, Reset, input over-voltage protection, battery charge discharge protection and hardware level battery over current short circuit protection.